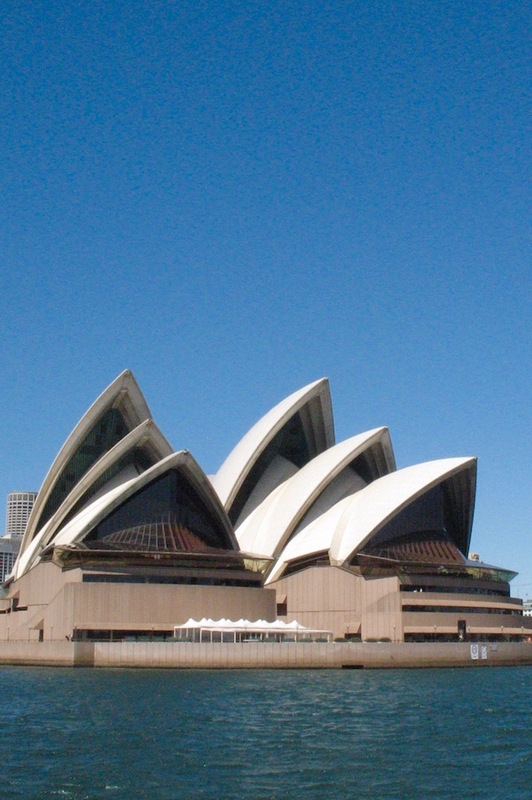 Sydney Opera House’s Unique Design: Art in Architecture — . An architect does more than just draw a building’s blueprints. He is actually an artist who must take into consideration feasibility, usability and placement of his enormous functional sculpture. The winner of the 1957 international architectural contest for the Sydney Opera House, Jørn Utzon, created an extraordinary design based on his childhood fascination of ships. However, the very thing that sets this award-winning structure apart from others in the world is what triggered the biggest headache to build it. The facility’s signature roofline caused budget overruns and delays as engineers worked through multiple iterations. We were fortunate to venture past the Opera House over two dozen times by foot and by boat during our stay. Each time was breathtaking and we wondered why. The answer may lie in the fact that she’s truly a piece of fine art that’s been placed in the perfect setting. She resembles a permanently docked ship whose hoisted sails salute the passing boats in the harbor. If you enjoyed this story in our series, A Picture Is Worth 1,000 Characters™, you may also enjoy another one about the Sydney Opera House or one of our books about Sydney. For fun we’re including a few more images of this incredible landmark that were taken on different days and at different times of day.